As the head of Worldwide Channel Marketing, Enablement and Microsoft Business Development for Citrix, Lindsay leverages her experience in marketing, sales, and product strategy to develop strategies that empower the global channel ecosystem to generate pipeline and maximize growth. Lindsay has a proven track record as a customer, channel and sales-oriented executive, having spent eighteen years defining GTM strategies for established multi-billion dollar high-tech companies and high-growth start-ups. 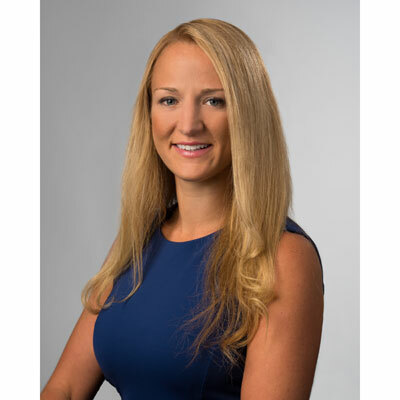 Prior to rejoining Citrix in 2017, Lindsay held positions as the Chief Marketing Officer of Kore.ai and led a 40-person Business Development and Marketing team for D+H, the 3rd largest financial services software provider. Before that she had a 9-year career at Citrix holding a variety of product, industry solution and marketing leadership positions. In all of these roles, Lindsay worked hand-in-hand with the channel to design solution sales tools and training and build demand generation programs that move customers down the funnel. She regularly contributes blogs and articles and speaks publicly on a variety of channel, technology and marketing topics. Lindsay holds a BA in Political Science and Latin American Studies from Middlebury College in Vermont. My contribution to the Citrix channel has been focused on two primary areas. The first goal has been to offer our diverse global partners - whether they're one of our large resellers, a Citrix Service provider, a distributor, or another - mechanisms to leverage the modern, digital marketing tactics that drive awareness and demand for our products and all their high-value services. This is foundational to the growth of Citrix and our partners. By offering more easily executable content and programs, partners can truly leverage marketing as an enabler of growth in the markets they serve. My second area of focus in advancing the Citrix channel business has been to scale our global enablement activities for more partners and more partner sellers. I've built activities to ensure partner sellers are capable of turning prospects into customers and ready to support them with the services needed to drive repeat purchases. You see the work I've done throughout the marketing and enablement programs we've developed, the increasing number of training hours logged, and the feedback we receive from partner ecosystem. My 2018 goal is simple: help Citrix attract and retain partners aiming to grow in a cloud-first era. Citrix and our partners can't afford to miss the move to cloud. We can either adapt to what customers want or get disrupted. That's why I'm focused on helping partners succeed as they make that leap towards cloud and subscription-based models. We'll evangelize the value of our partners internally and externally, provide ongoing training, design innovative ways for partners to target prospects, share best practices, and ask for feedback throughout the journey. This will allow Citrix and our partners to win together. My greatest honor in the past year arose in a less formal way than a plaque or trophy, but it mattered more to me. It came in the form of a handwritten card from a team of thirty 8-year-old and 9-year-old girls I coached lacrosse. They told me that they'd learned what it meant to be part of a team. I believe team sports remind us that winning only happens when you work together. This is one of the primary reasons I believe so strongly in the Citrix channel. Together I believe we can do much more. It's difficult to choose just one, but I really admire Amelia Earhart. Not only did she do something exceptional, but she 'challenged the norm' at a time when it really wasn't comfortable to do so. I admire people that don't let the past get in the way of their future. We own our destiny. My favorite quote from Amelia Earhart is that "Women, like men, must try the impossible. And when they fail, their failure should be a challenge to others". I believe pushing boundaries forward leads to exceptional ideas and outcomes. I'd tell myself to always listen and learn from the people around you. We all discover new things and grow from the unique perspectives each person brings, even when you don't agree with or like those perspectives. Change can only start if you listen first. And, there are so many new ideas, new skills and new approaches you'll miss if you don't recognize that we can always keep learning. I'd learn how to implement technology into customer environments. After 18-years in the technology industry, I've realized I love understanding how technologies and products work. I've made it a point to deeply study every technology I've been responsible for marketing or selling. I've put myself in countless meetings of engineers and enterprise architects just to listen. But I'd love to put that into practice too because it's foundational to our channel partner's business, and I realize technology is different when deployed for different industries or integrated into diverse existing infrastructure. The Rent Collector. I loved the book for many reasons. It's a story of hope and dreams that shows how people can persevere even through the worst scenarios. It also shows the true power of education and literacy, and what that can do for humanity. Last but not least, I loved the book because it reminds you not to always assume that people are bad because they behave badly. Everyone has a 'back story', and if you take the time to find out what that story is, usually a new level of understanding and respect will emerge.